Jet.com is a newly launched website that offers big savings on stuff you’d typically buy at your local Walmart or Target store. In fact, they’re promising “the lowest prices on everything” — even when matched against online shopping juggernaut Amazon. Okay, so Amazon doesn’t always offer the lowest price on everything, but Jet only uses it as a reference point, still searching out prices from elsewhere around the net and beating them by a few bucks in some instances. Also, the items you add to your cart, the bigger discount you’ll get on other items, piling on the savings by buying like items. So how do they do it? Well, Jet takes their commission fees (normally kept by online retailers) and passes that money to the consumer. Their hope is that they’ll make most of their money off of subscription fees alone and the $200 million they raised in equity and debt financing will also be used to keep these prices lower than anyone else, even when they can’t beat out others. They also have a few unique ways of further saving customers extra cents, like waiving shipping fees when orders hit $35, or deducting a few cents when the free return policy is waived. But these savings come at a cost. 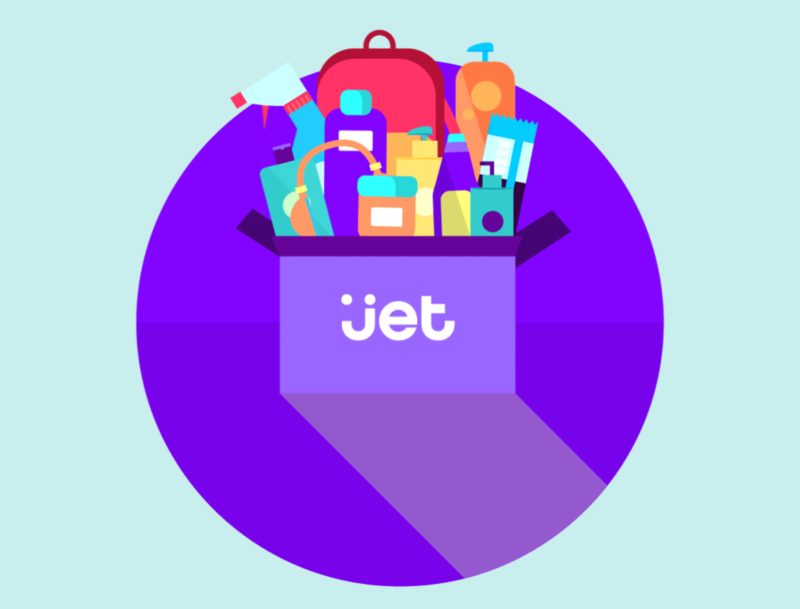 Similar to membership stores like Costco, Jet requires a $50 a year subscription but they’re confident your savings will exceed this cost over a year. To get you started, they’re even offering a free 3-month trial that does not auto renew, so you don’t have to worry about being billed when you’re done. It’s a pretty enticing deal, especially if you buy a lot of goods online. 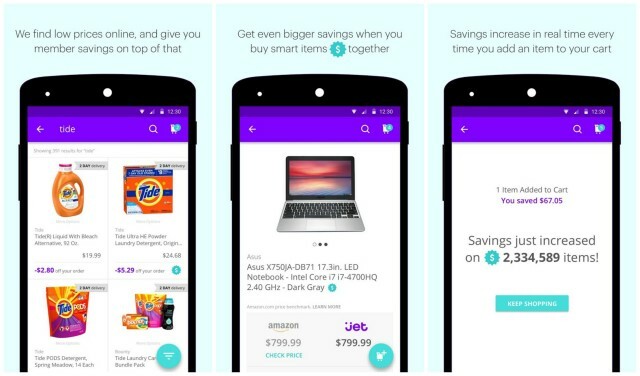 We noticed that in some instances, Jet was even able to beat Amazon’s “subscribe and save” pricing on some items, so it’s definitely worth checking out if for nothing else than their free trial. If you’d like to get started, Jet just launched their free Android app (the reason we’re telling you about this service in the first place) and it’s available right now on the Google Play Store. Link provided below.